It goes without saying that we’re beyond excited for the upcoming third installment in the Pitch Perfect franchise. Despite its humble beginnings, the comedy series has become a phenomenon, telling stories of female empowerment and friendship – with plenty of humor thrown in for good measure. Until recently everything looked to be going well for the upcoming sequel, but of course things can change. It now seems that Pitch Perfect 3 has suffered a minor setback, as Elizabeth Banks’ role in the upcoming film has changed dramatically. According to a new report from Variety, actress Elizabeth Banks has stepped down as the director of the third installment in the Pitch Perfect series. Although it represents a setback for the film, we should note that Elizabeth Banks has stepped down from her role as the film’s director, but she will still maintain a role as one of the film’s producers, as well as her role of Gail in front of the camera. Though I won't be directing #PitchPerfect3, I'll continue to oversee PP3 as Producer & return as 'GAIL'. Prepare for a very #MerryPitchmas! At the end of the day it doesn’t sound like Elizabeth Banks left the project because she doesn’t have faith in the story, or doesn’t want to involve herself in the Pitch Perfect universe any further. Overall the split has been described as amicable and relatively painless. Her schedule has become so packed with projects and commitments that something simply had to give. The timing for Elizabeth Banks’ departure actually couldn’t be better for the project. Pitch Perfect 3’s release date was recently pushed back from June to December 2017, so Universal has an increased period of time to fill her void before shooting begins. To say that Elizabeth Banks will be busy over the course of the next few years would be an understatement to say the least. 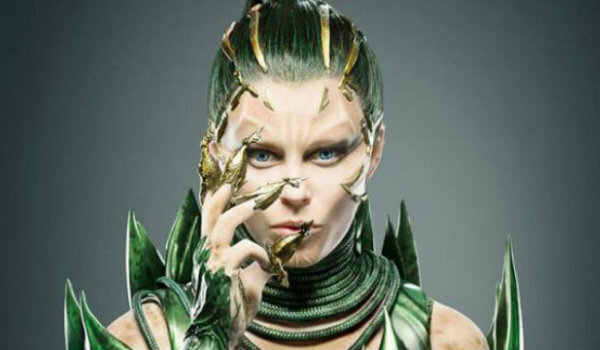 In addition to her diminished involvement in Pitch Perfect 3, she will also star in the upcoming Power Rangers film as the villainous Rita Repulsa, and serve as the director for both the upcoming Charlie’s Angels reboot, as well as Universal’s Red Queen. Those are some high-profile projects, and it’s probably for the best that she took a step back from the Pitch Perfect threequel. We here at Cinema Blend will keep you updated on this situation as more information becomes available to us. With Elizabeth Banks stepping down, the search has begun to fill her place in the highly anticipated sequel. As of now, Pitch Perfect 3 will still hit theaters on December 22, 2017. Stay tuned for more details!